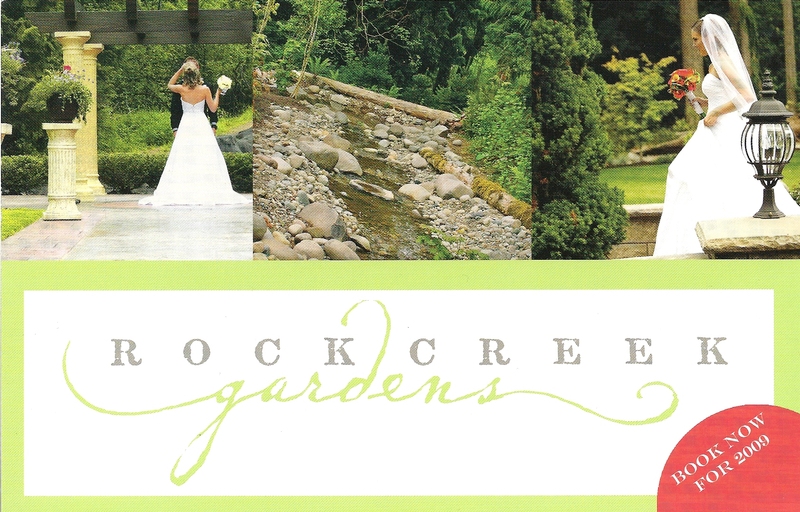 In an earlier post I had mentioned something about working on a project for one of the best wedding venues in Pierce County, WA, actually one of the best venues in all of Western Washington, in my humble opinion: Laurel Creek Manor. We have had the honor to shoot a few wedding there over the years, both in photo and video. And while photos from those events can be found here on this blog, a special project that we were working on was a promotional video for the manor. That video was centered around an actual wedding, and since we mentioned the venue in a previous post we thought that we would now present that video to you. Laurel Creek Manor is located in Sumner at the base of the hill leading to Bonney Lake. The five acre estate is surrounded by bulb farms that give you a private country setting with fabulous amenities! Among the property is two acres of landscaped English gardens, a beautiful and unique wedding arbor, two large terraces equipped with surround sound, pathways, Italian fountains, private on site parking, and a historic barn. Inside the manor house includes elegant architecture that is drenched with exquisite European fixtures. With exclusive use of the facility for every event, you could relax and enjoy the wedding from start to finish whether it is inside, outside or both! The manor house boasts a large great room with dark wood floors, stone fireplace, and multiple French doors leading out to a beautiful covered porch and large terrace. Upstairs you will find private changing rooms for the bridal party including a Groom’s Changing Room with plush chairs, unique architecture and large restroom. The bride and her bridesmaids will enjoy the large Bridal Suite with fabulous seating, private balcony, cathedral windows, air conditioning, walk-in closet, and a pink marble bathroom!